What started out as a name suggestion for the ladies of the Bunyaville Trail Runners, has now become a popular and supporting all women’s trail running group located on the northside of Brisbane. The Bunya Belles are still very much an integral part of the make-up of the Bunyaville Trail Runners. Both groups complement each other and hold the same principles of running in a friendly, supportive and fun environment. 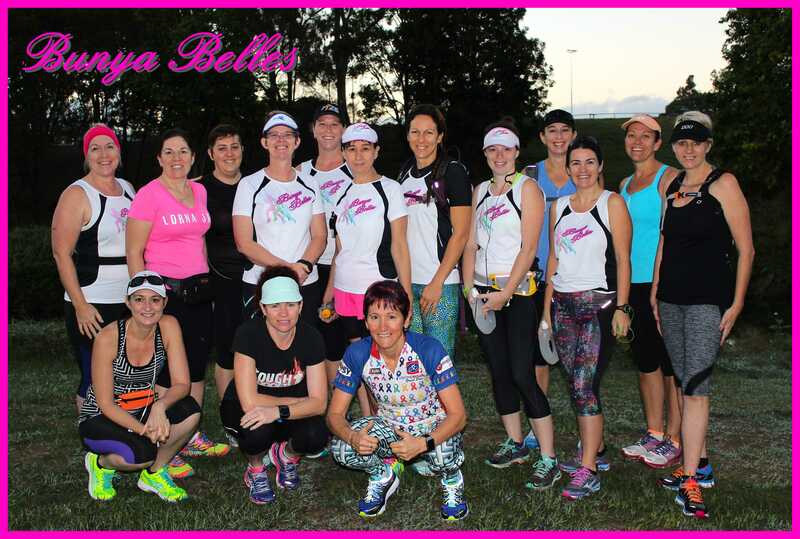 Founded by Debbie with help from the Bunya Belles’s other group leaders Sharon and Jane, the goal was to have a group that caters for the beginner and experienced runners to hit the trails every second Sunday followed by a picnic or breakfast at the local coffee shop. The Bunya Belles also run the occasional week night trail run or head off-road with the Bunyaville Trail Runners on their mainstay Wednesday night run lead by Debbie’s husband Grant. Many catch up at Bunyaville parkrun each Saturday for a free 5k timed run also. Bunya Belles try to keep things fresh and explore new trails around Brisbane which has seen the Bunya Belles run around not just Bunyaville Conservation Park but the D’aguilar State Forest, Glasshouse Mnts, Mt Glorious, Clear Mnt, Raven St & Chermside Hills Reserves and Bullocky’s Rest. They also enter many of the booming Qld trail running events throughout the year. Running trails for the first time can be daunting but the Bunya Belles encourage new and experience runners alike to come along for the adventure and all done with plenty of laughter and chatter. They are very welcoming, happy to give advice and supportive group of like minded women. All training runs are free but after your first trail run we ask that you join our Qrun membership. The membership is kept to a low price of $20 individual (all ages) and $30 family (Includes up to four members of any single household). Membership link here. See the membership page for all the details.